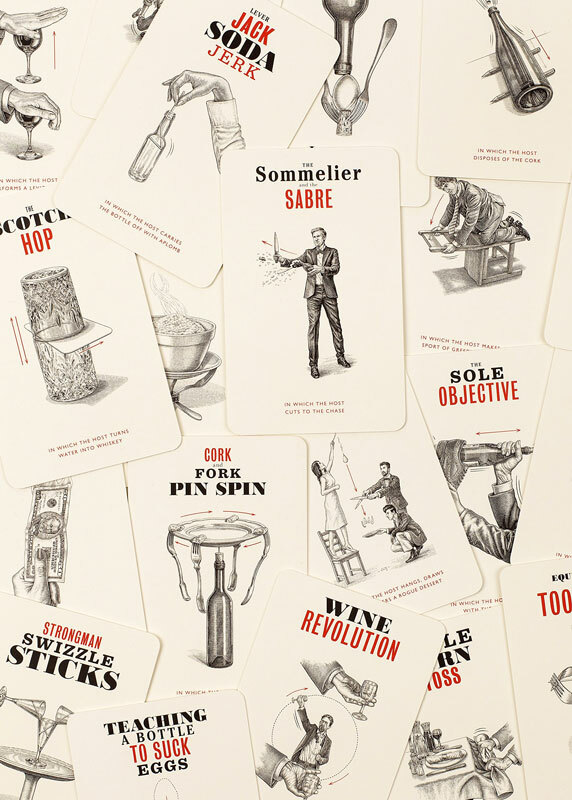 Dangerous Experiments for After Dinner: 21 Daredevil Tricks to Impress Your Guests could be the party gift of the season. From sabering a bottle of Champagne to hanging a pear on a string over 2 criss-crossed knives, and then cutting the string to quarter the pear (?!) this daredevil deck of stuff to do besides talk about religion and politics is sure to be a big hit at your next gathering. It also might make a colossal mess, destroy the porcelain spaniel figurine your wife's grandma gave her, and put someone's eye, but hey. Most of the best parties do. 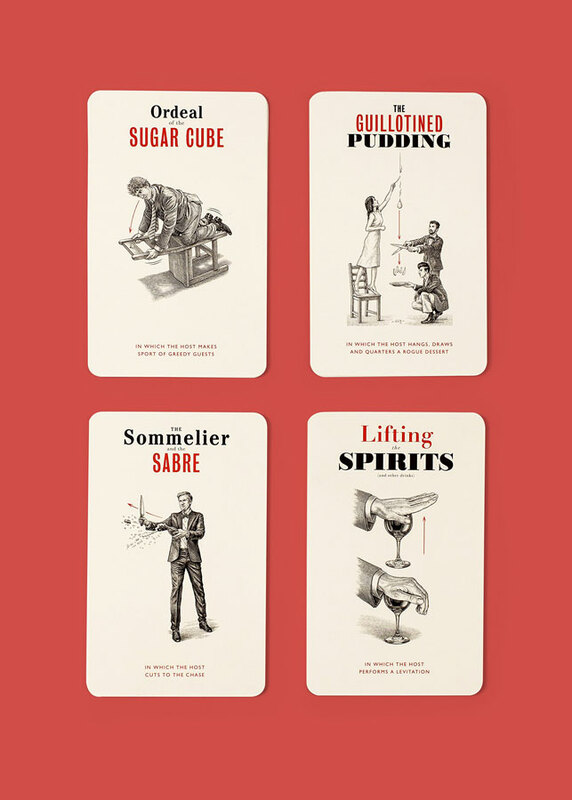 Created by Kendra Wilson and Angus Hyland, Dangerous Experiments for After Dinner compiles 21 tricks and challenges to liven things up after the chitchat dies down. Awkward silence? Fill it with the sound of a hammer driving a needle through a coin. Your sister's new boyfriend have too much to drink and start making comments about everyone's boobies? Even the men's? Set him up with the ol' sugar cube on the back of a flipped-down chair ruse. 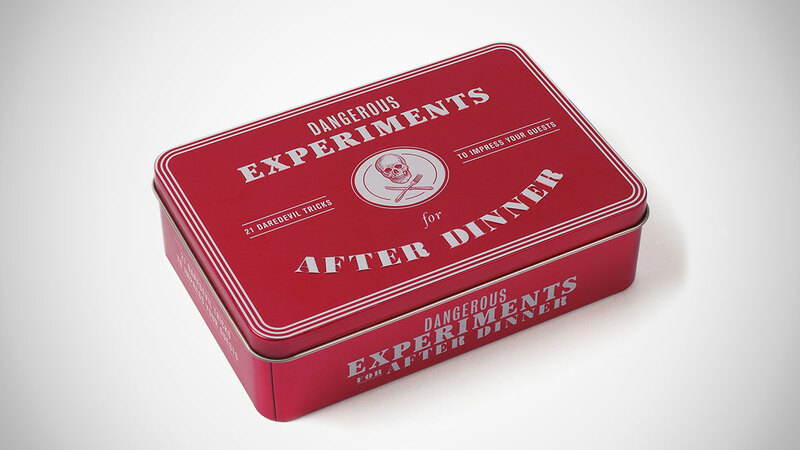 Each of Dangerous Experiments for After Dinner's suggested ways to liven up your part includes step-by-step instructions for completing the challenge, plus a swell illustration of the technique. The stack of tricks is also ripe for the Secret Santa gift giving.